Thirsty Pilgrim: Around London in 1 Book. I've never been to London. Well, that's not exactly true. I was once there for two days. But my mission then was not to pub crawl, crazy at it may seem. So that doesn't even count, does it? Now I'm ready. 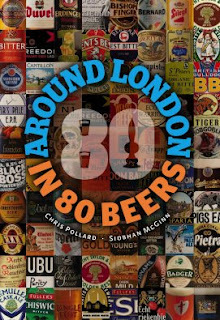 The other day I got my copy of Around London in 80 Beers in the mail. The authors are thirsty pilgrims Chris "Podge" Pollard and Siobhan McGinn, who you may know from such books as Around Bruges in 80 Beers. The publisher is Tim Webb's Cogan & Mater, alias booksaboutbeer.com. Buy them all, straight from the Web site. Attention: Around London is essential for any beer lover visiting or living there. Or even thinking about it. The city's loaded with nice pubs, but how can you be sure you'll get the good stuff? This book skips the chaff and offers only the wheat, plus all the handy maps, transit info, and contact details you need to call ahead and make sure they're open. Not to mention a nice prelude from London barman pub-gaffer and beer-blogger Jeff Bell, a.k.a. Stonch, future author of Around London in 80 Packets of Pork Scratchings. Did that sound like a sales pitch? That's odd. Oh, what's this on the book's last page? 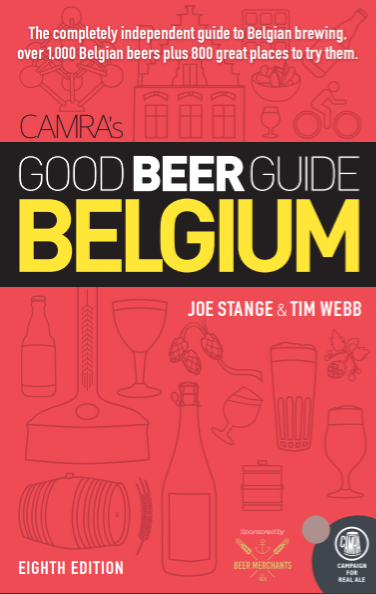 It says, "Coming from Cogan & Mater..." then blah blah blah, oh here it is: "Around Brussels in 80 Beers, by Joe Stange & Yvan De Baets (April 2009)." So. There's some more news. It is indeed a great book, everyone should buy it! PS. I'm not a "barman"! I run the gaff! I had to look up "gaff" though. "Gaff, a slang term used in UK and Ireland to denote a place of residence"